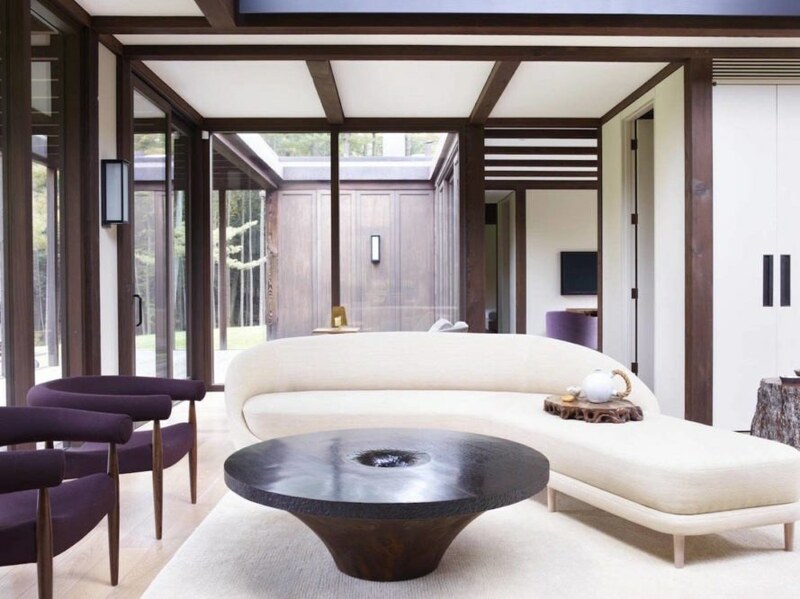 Japanese influence weaves throughout the stunning Pound Ridge Residence, a luxurious forever home in rural New York designed by Tsao & McKown Architects for an acclaimed international clothing designer and her husband. 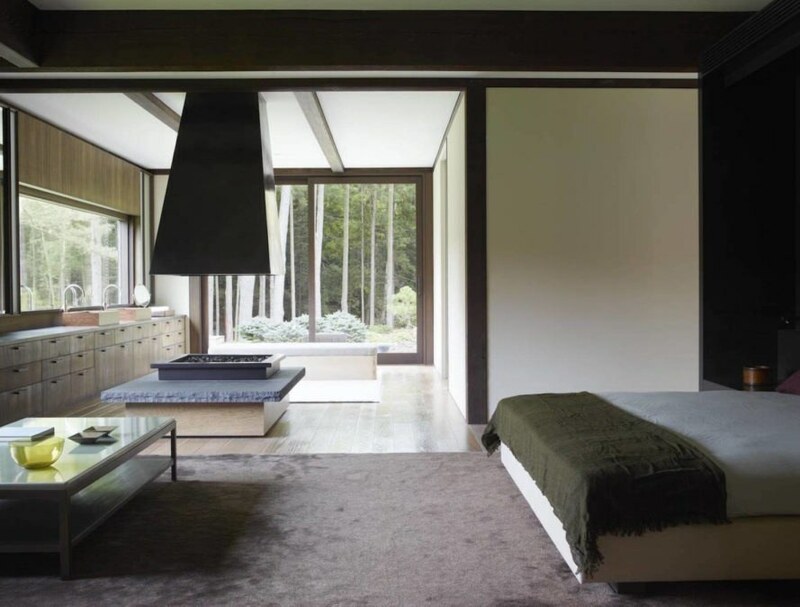 The strong architect-client relationship spanning the course of 20 years granted the architects design control not just over the architecture, but the landscape, interiors, and custom furnishings as well. 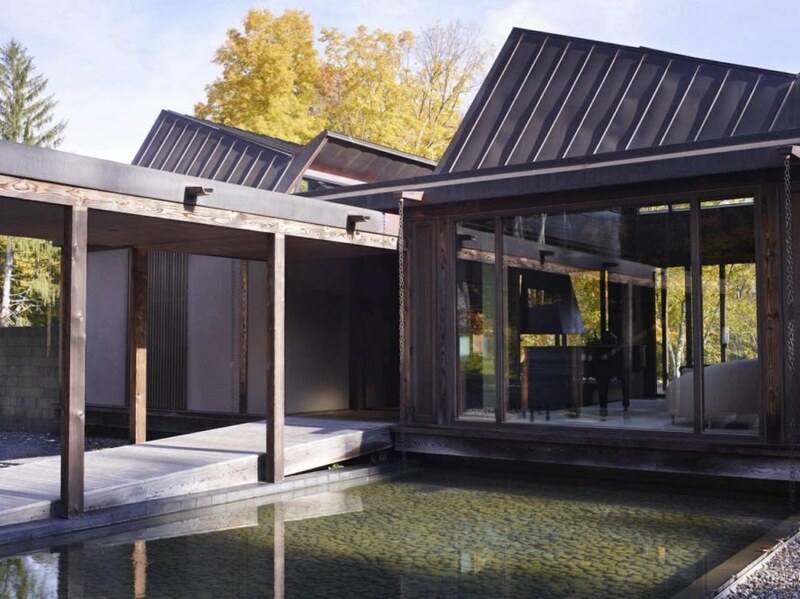 Built to target environmental and social sustainability, the timber-framed house minimizes its energy and resource footprint and is designed for aging in place. With design control over the architecture, interiors, furnishings, and landscaping, the architects achieved a customized and “holistically conceived environment” reflecting needs and preferences of the clients, whom they knew well. “With full awareness of how they live, work, and entertain, we conceived the furnishings simultaneously with the architecture,” said the architects. The single-story home mainly features open-plan layouts that take advantage of natural ventilation and light through sliding glass doors, windows, and operable timber panels. Light is also let in through two large asymmetrically shaped skylights. 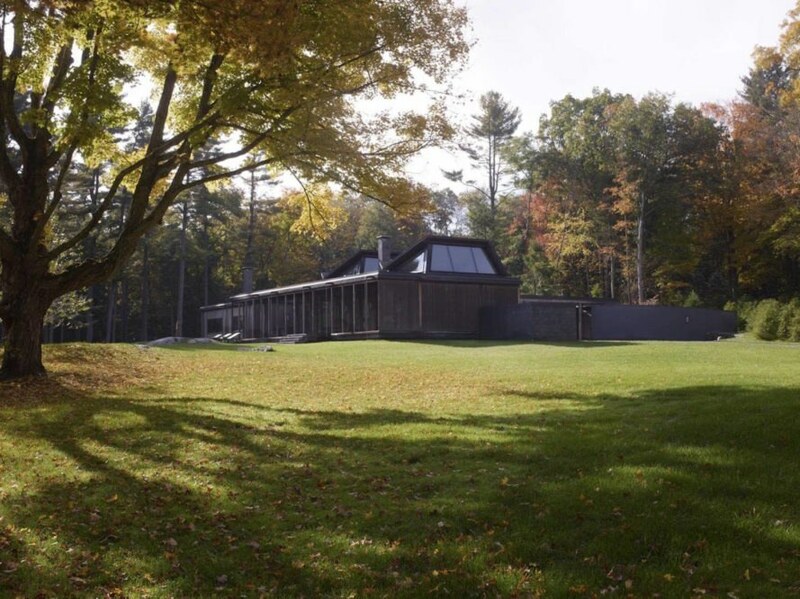 Radiant geothermal heating and cooling regulate indoor temperatures and are complemented by two hearths with sculptural custom bronze chimneys. Low-energy materials were used in construction and all excavated stone was reused in the gardens and landscape. 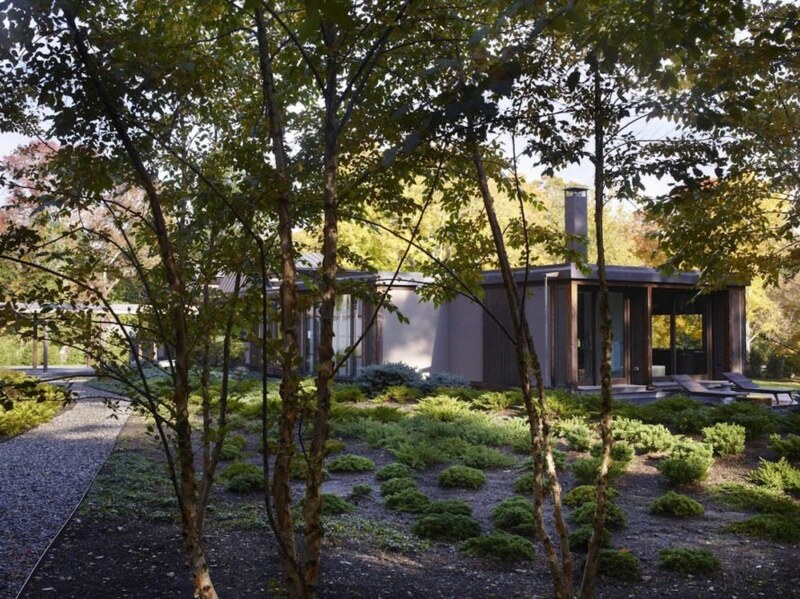 The exterior spaces and landscaping feature native species and minimize impermeable paving to capture runoff water. 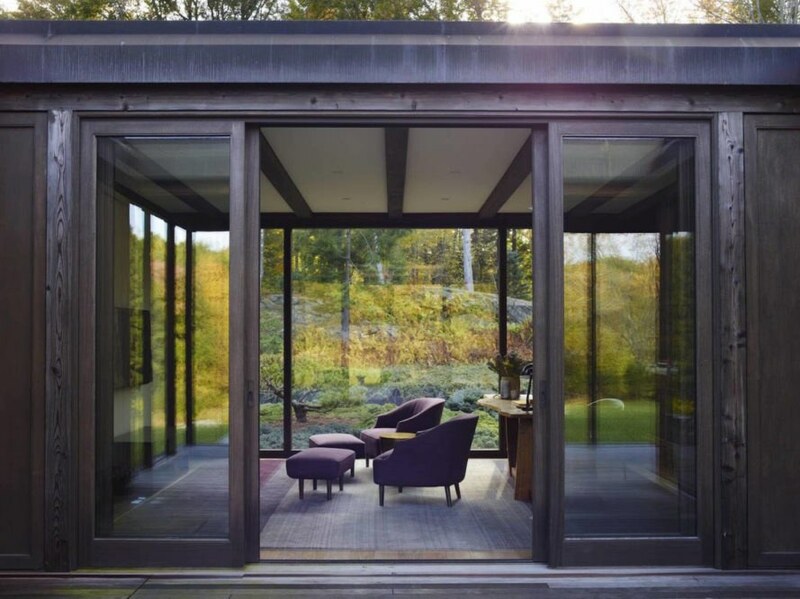 Set on 30 acres of forested land, the 2,900-square-foot Pound Ridge Residence opens up to the outdoors through ample full-height glazing and covered walkways. With design control over the architecture, interiors, furnishings, and landscaping, the architects achieved a customized and “holistically conceived environment” reflecting needs and preferences of the clients, whom they knew well. “With full awareness of how they live, work, and entertain, we conceived the furnishings simultaneously with the architecture,” said the architects. 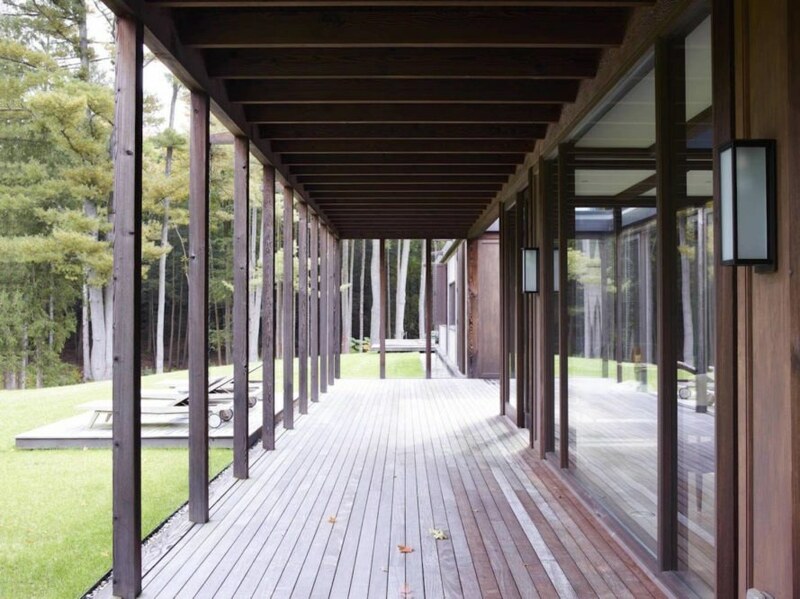 The single-story home mainly features open-plan layouts that take advantage of natural ventilation and light through sliding glass doors, windows, and operable timber panels. Light is also let in through two large asymmetrically shaped skylights. Radiant geothermal heating and cooling regulate indoor temperatures and are complemented by two hearths with sculptural custom bronze chimneys. 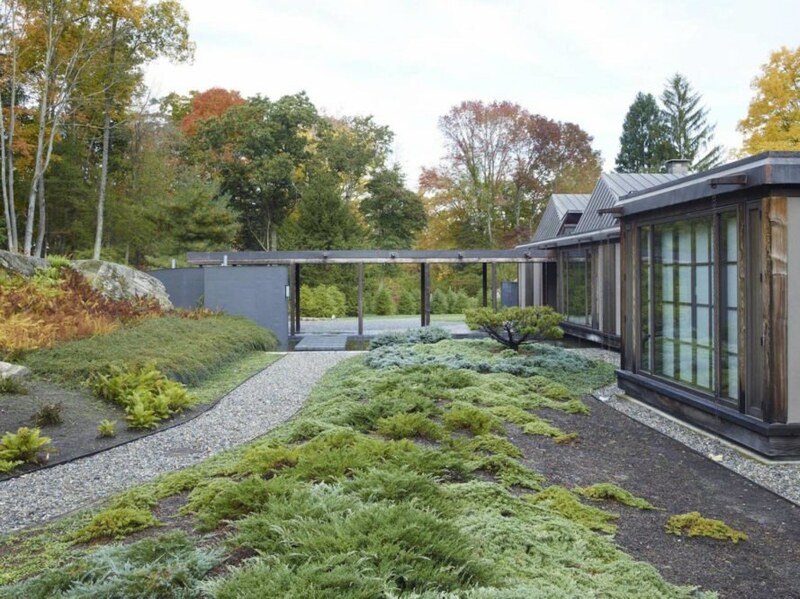 Low-energy materials were used in construction and all excavated stone was reused in the gardens and landscape. The exterior spaces and landscaping feature native species and minimize impermeable paving to capture runoff water.